The Technical Readout: 3060 shipped and like always I headed to my local gaming store to purchase my copy very soon after. I still remember looking over those units for the first time, and finding some that really stuck with me. Today I want to look at my four favorite BattleMechs from 3060, and then hear from you about your own. 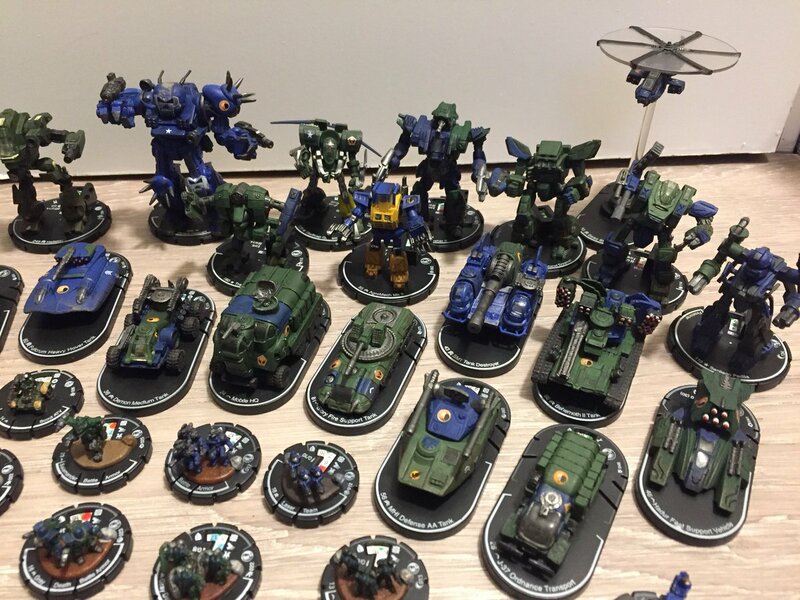 What do you like in a BattleMech? What makes it work? Everyone’s playgroup will be different. I get that. If you run into a lot of missile boats, then an Anti-Missile System has an enhanced value to you. I’m not a fan of it normally. If you run into a lot of ECM warfare, then electrical enhancements, like Artemis IV are just dead weight in a lot of situations. So what do I like in a BattleMech? Let’s take a look and see! 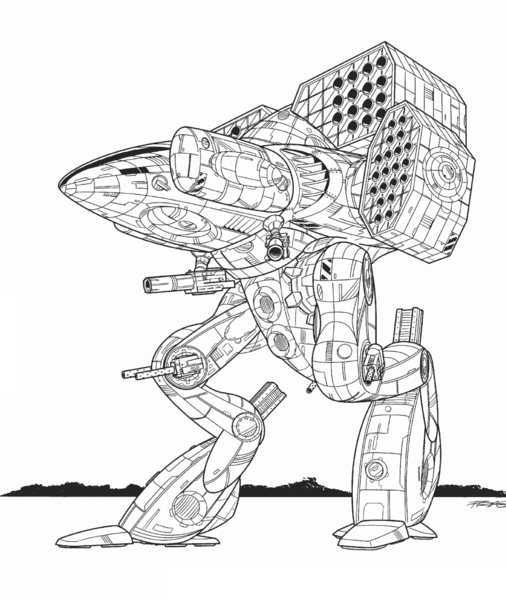 Viking – Let’s go ahead and start with my favorite BattleMech from the Technical Readout, shall we? My friend, the 90 ton assault class Viking, a combination ComStar and Free Rasalhague Republic force. This is a great missile boat for your army – it sports two LRM20s, and two LRM15s as well – launching a full 70 missiles down field each round. With Artemis IV fire support, it can really blow out an enemy unit. It has a largely redundant quartet of machine guns and a pair of small lasers as close range stuff in case someone gets a little too big for their britches and tries to close. Avoiding the problems that can come with an XL engine, particularly in a unit with so many ammo critical slots (threatening an explosion that would shut down the ‘Mech), the Viking even has a strong amount of armor for those that want to return fire – a full 15.5 tons. It’s one of the best missile boats ever made, and it will not just exploit open areas on units, but it peppers armor itself! The Eagle has Landed (Literally)! Eagle – When playing I’ve found the Eagle to be a strong and reliable design in a few major roles. 5/8/5 movement is very respectable for a light ‘Mech, because you can always jump to get +3 to be hit if you need it, or else you can just walk +2 or run +3, so you have options to make it harder to hit you than it is to hit others. That’s what you want. In addition to that, we have an ER Large Laser to give the unit a long range bite, and an ER Medium to back it up. You can leap around, finding the right spot to fire off a few lasers. And then don’t forget that is has max armor as well. I like to use it as anything from a traditional scouting role to a flanking force that pushes heavier units or even a supplement to a long-range position where it can head out quickly to deal with anybody who comes close. That’s a good BattleMech, right? And then it has TAG as well, so you can paint stuff for future damage from other units in the right lance. I often don’t even bother. It has enough weaponry, range, armor, and movement to suffice for a 25 ton guy, and when you need it, TAG comes a-calling! Wizards and Mages, Oh My! Shugenja – I’ve never a super big fan of XL engines. They work in the right circumstances and for the perfect unit, but otherwise, I prefer a unit with survivability. Particularly when it’s low on armor or tends to explode. That’s why the Shugenja is a strong choice. 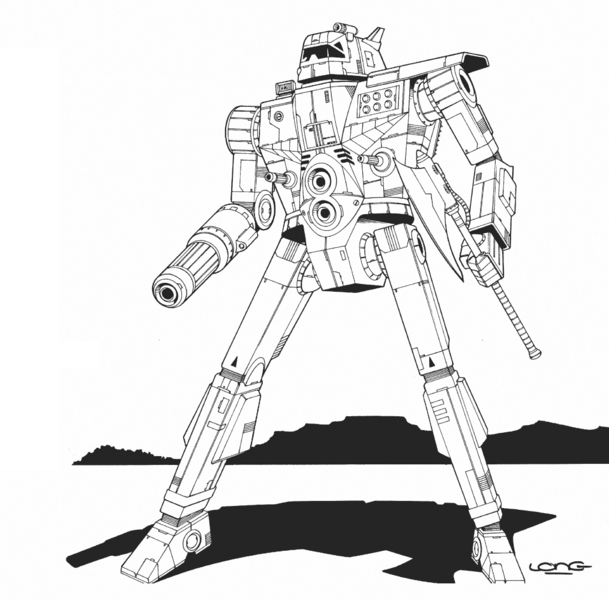 It’s a larger unit that uses the XL engine to give it enough room for a solid allotment of long range of weaponry – that ER PPC plus the pair of Large Lasers – all energy weapons that don’t rely on ammo – and a strong MRM 30 launcher to fill in a medium range role and to ward off any smaller units from getting too comfortable. 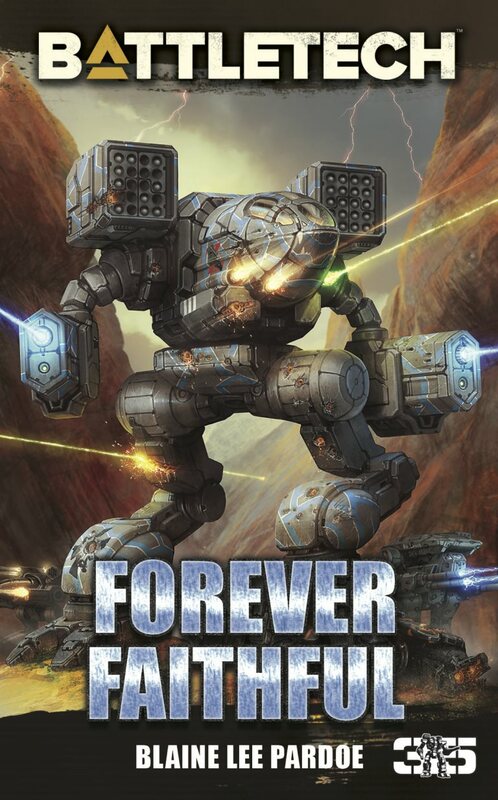 Meanwhile the heavy BattleMech sports 13 tons of ferro armor, so it has pretty good protection. It addition, it has the valuable C3 Master unit, so it provides two roles. It’s a good long-range ‘Mech that can sit back and snipe at folks, while also providing the Master for a C3 equipped lance. That combination, along with the strong armor it affords, is a powerful combination for your unit. I use them a lot, and have gotten great results. Buccaneer – I don’t generally like an XL Engine on a unit that wants to close. It’s prone to getting hit overly much. And the Buccaneer definitely wants to close, so it can connect with its medium and short range weaponry. Other than the ER Large Laser, it doesn’t include any long range weapons. Now you can rock a quartet of Medium Lasers, a random Medium Pulse Laser, and an SRM 6 (with Artemis) for short range fun, and that’s in addition to the hatchet that forces you to close, and gives you a good reason to do so! 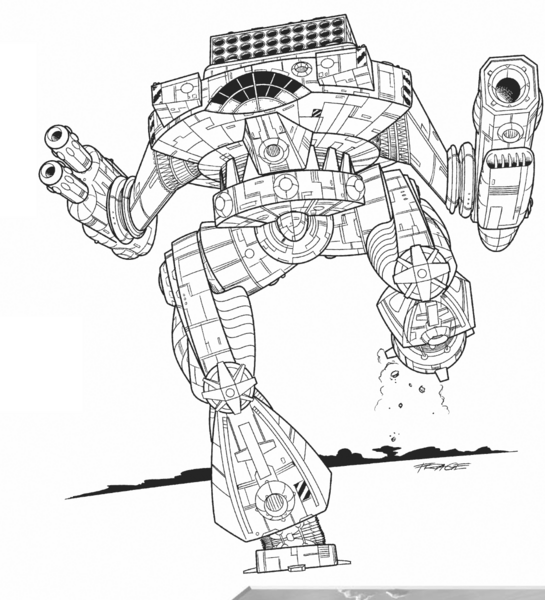 Don’t forget that unit has great armor – 10 tons of ferro on a 55 ton ‘Mech is virtually maxed out. And the weapons load doesn’t require more heat sinks. Your base 10  can deal with the heat from all five lasers, and your SRM 6 (You make just over 20 heat with your movement as well). So the unit works from all of those angles. But what XL engine gives you is an unusual way to use it. You have a crazy 6/9 movement. That lets you stab in there quickly from way outside of its normal range to hit quickly and powerfully. You can run 8 or 9 hexes, close with a BattleMech, and then carve into it with your weapons. You have the potential for a strong hit and fade tactic if you want, or you can stay and fight for a few turns, with the flexibility that battle requires. I’ve found myself using it in a variety of roles. But my favorite is to snipe with the XL Laser and position my ‘Mech to make a running and basing attack on the flank or rear of a unit and then just devastate it. This thing puts the fear of Blake into you. So there are my four favorite Inner Sphere BattleMechs from 3060. What are yours? 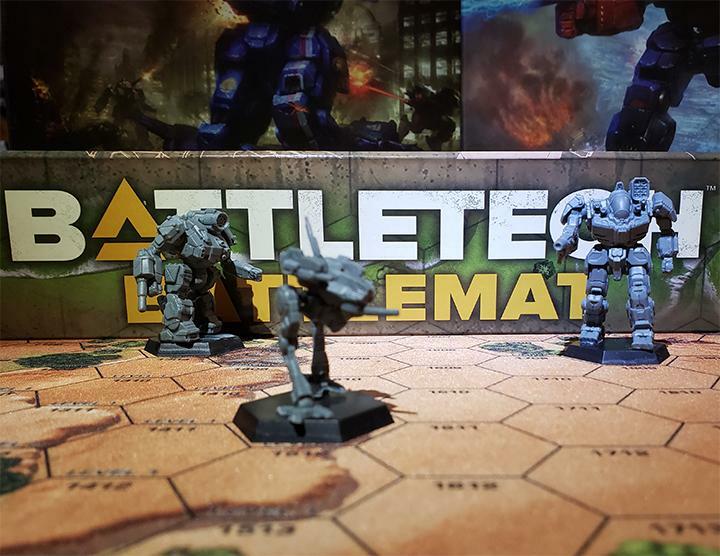 This entry was posted in Reviews and tagged BattleTech, Retrospective, Reviews on 2015/08/27 by Abe Sargent. Speaking from a MW4 series player and overall concept ideals POV, I like the Nova Cat Prime Configuration. A Heavy ‘Mech with decent speed and an all Energy Weapon loadout to facilitate long term operations away from supply lines. While it has heat issues as any ‘Mech with such a loadout will, judicious fire control, target selection and proper tactics can overcome these issues. Blood Asp is beastly to be sure although, I still lean toward Turkina when choosing a clan assault omni though due to me making everything big assualt omni jump . Hauptmann small laser cigar…just saying it andSteiner assualt omni take my C-Bills. But the top 2 favorites more nostalgia from the Orion IIC and number 1 is Highlander IIC a very capable machine and looks pretty good. The 4 leggers are actually appealing for change. But overall I think this I TRO that is IS mech weak. 3060 was a weird year for me–contrary to most of the other TROs, very little in the IS portion reached out and grabbed me hard at first glance. I was all over many of the Clan kits in that book instead, which rarely happens to me. However, after some games and some time with the designs, I’ve gathered a few IS favorites. The [b]Marshal[/b] is the lightest of my 3060 favorites. It’s something I like in BattleMechs–solid, no-nonsense design. It’s tough and hardy, and while it isn’t exactly effective in every situation, it’s got something in most situations. It also looks rather bulky, yet rustic, which is nice. It just looks like something that can wander on a dusty Periphery world all alone for months at a time. I find that it’s let down a bit by its lack of CASE, but considering the lower tech of Periphery gear this isn’t that great a fault and nothing I’d blame the Marshal’s designers for. The next one that grabbed me was the [b]Ti Ts’ang[/i], which I warmed up to immensely after a match where I got it to 9 heat after the first turn and went to town with the ax by keeping it at 9 heat the whole time. A Ti Ts’ang barreling down a street at you from 11 hexes away and following up with an ax swing that’s now good for 24 damage almost makes you forget the alpha strike it just dished out to get up to 9 heat in the first place. The addition of TAG is almost cruel–my friends jokingly called it “Summon Arrow IV.” I’ve had people forget that it has TSM, which is just plain funny the first time they add up how much heat I’ve built up. In keeping with the theme of “Liao tech makes me giggle like a madman,” the [b]Jinggau[/b] is the sort of wretched bother that I came to appreciate after I properly wrapped my head around its stats. It’s basically a smaller, faster Victor 9K, which I’m still fond of even in spite of its flaws. The Jinggau works hard to endear itself to me and mostly succeeds, thanks to the fact that ti’s useful at both long and short range without much fuss. If not for, again, a distinct lack of CASE, I’d definitely call it one of the TRO’s hidden gems, since I don’t seem to find many people who bring it up. The [b]Toyama[/b] almost makes me want to run a Blakist unit. Almost. It hits a lot of the right notes for me; solid firepower at all ranges, decent ammo reserves, acceptable heat sinks, acceptable armor, and a strking visual design just for the cherry on top. This is very close to what I tend to do to a lot of topweight heavies when I’m designing a generalist. It even has Guardian ECM, which is something I try to squeeze into a lot of my custom designs. Once again, though, it’s let down by an actually shocking lack of CASE, which I thought the Blakists would’ve installed somehow–surely sacrificing one medium laser would’ve opened up just enough weight and space? Ah well, no ‘Mech can be perfect. Still gets high marks for what it does right. Finally, the [b]Hauptmann[/b] is my Assault of choice from the era; not just because I enjoy its burly look (even with the cigar!). It’s a powerful, effective, and above all lethal piece of Omni kit–it gets high marks for power and survivability. It’s also a reminder that the Lyrans know how to build Assaults. Talk up the threat of an Atlas all you like; it’s the appearance of a Hauptmann B on the table that’ll give me that bad feeling. I should know, I play against a Lyran on a regular basis! It earned my respect the old fashioned way: beating it about the head with it. Wasn’t any slouch in MW4 Mercs either, and I often piloted one in the endgame. You know, I have a bit of respect for the Marshal too. Fittingly, to me the Marshal’s a lot like like an old .38 cal revolver. Is it a little outdated for the age it’s in? Maybe it is. Will it still do the job if you give it the chance in the right situations? Yes, yes it will. I have to admit that the MHL-2L with the DHS and LRM 15 is still my favorite of the lot though, higher tech cost or not, because at that point it’s basically a budget Thunderbolt. My favourite IS Mech from 3060 is the Yeoman on the account that it is probably the most ridiculous looking Mech I’ve ever seen. 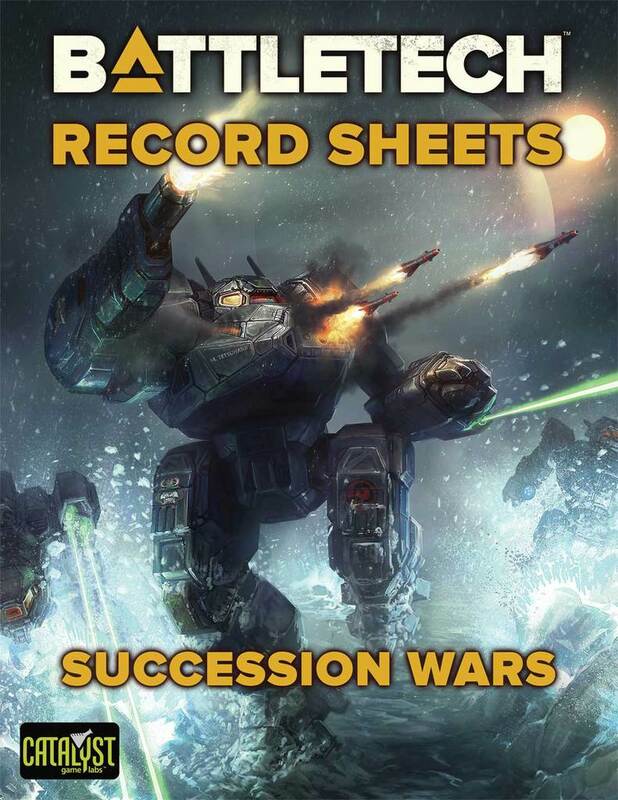 I also like the image of loads of nameless nobody-Mechwarriors (think scenes from Gundam or the fodder in Dynasty Warriors) piloting Yeomans, churning out massive barrages of LRM fire. You and Foad should get together and play a game. 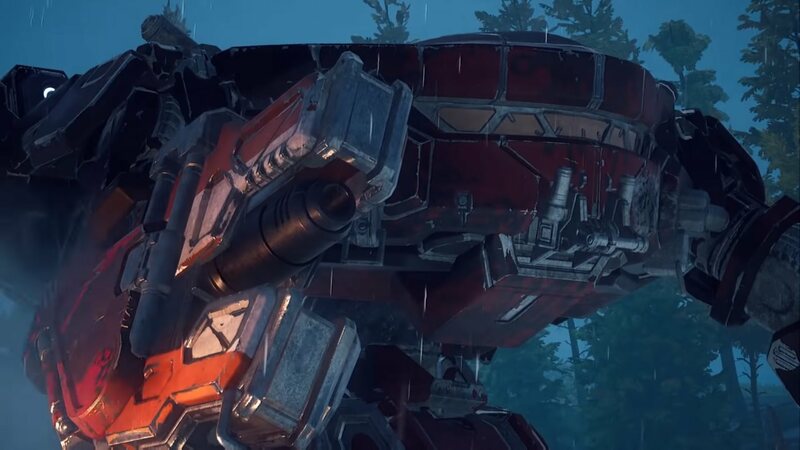 Assault: I have to go with the Hauptmann, the flexibility of an omni with nearly half its weight devoted to pods, maxed armor, and a standard engine make this a strong and durable assault mech. All of this does come at the cost of a low 3/5/0 (3/5/3 for the A variant) movement profile, but hardly a hindrance for its usual mission. 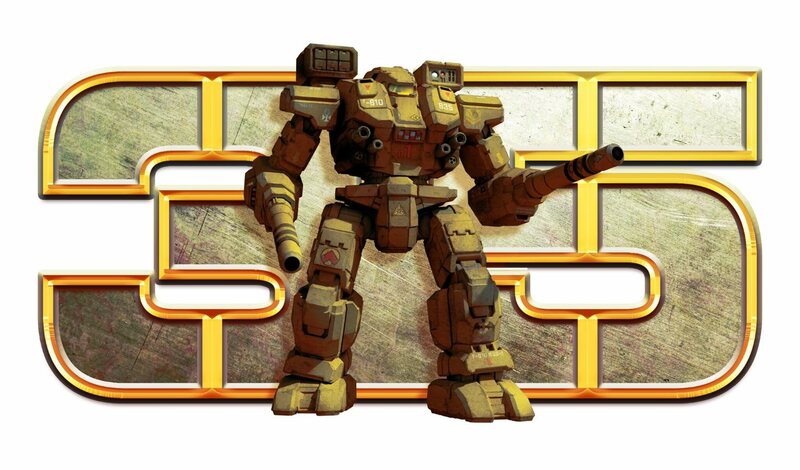 Heavy: Ti Ts’ang, fast, well armored 60 ton mech, though practically unarmed at long range in its standard version, as it only has 5 ER Mediums, 4 ER Smalls and a TAG. It would make a great forward spotter for Arrow IV launchers or mechs with TAG missles. Also, TSM makes this mech scary at close range, even for bigger mechs. Medium: The Enforcer III, standard 5/8/5 profile for many 50 ton medium mechs, a little more than a half ton short of its maximum armor, and a weapons load effective at a variety of ranges, even doing alpha strikes after jumping and barely going over its heatsinks, makes this mech look mediocre when compared to other mechs like the Blitzkrieg or Buccaneer, but for me the simplicity of the design is part of the appeal. 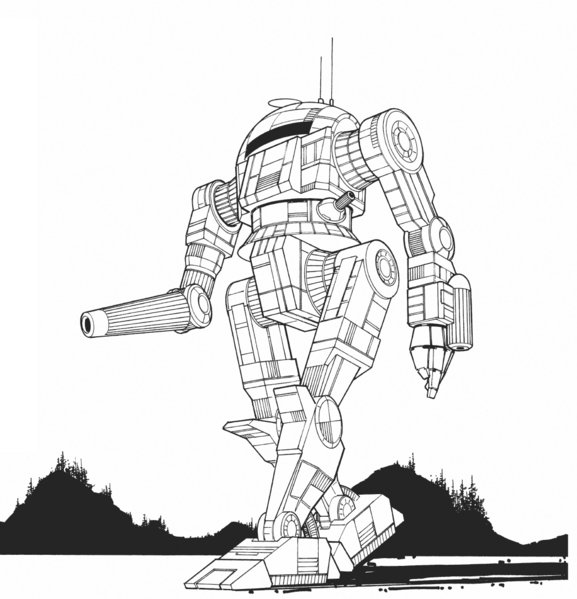 That, and a little nostalgia for the original mech. 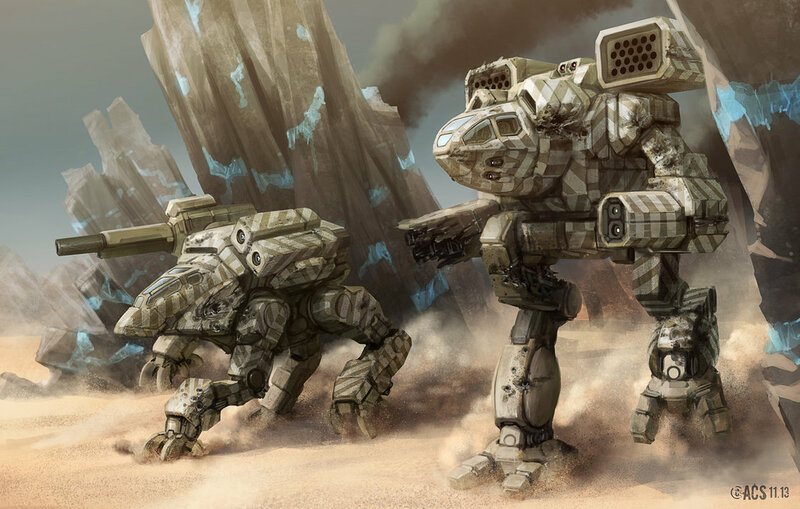 Light: The Artic Fox, omni light made by the Kell Hounds, good armor, 6/9 standard movement profile, and 14 tons of pod space make for a flexible light mech, working as a light support mech, a harasser, or a light duelist. Only thing it can’t seem to do is act like a scout mech, at least not with the variants listed in the 3060 tech readout. My favourite IS mechs from TRO3060 are the Jinggau, the Hauptmann, the Toyama and the Yeoman. The Jinggau is a solid Heavy cavalry/trooper mech that works well with Thunders and Lao Hus. The Hauptmann is a cigar-smoking badass, it’s well armed and pretty hard to kill. Being an omnimech it’s flexible so you can configure it to support whatever other Assaults are in your lance. The Yeoman I just like for its weird looks. I sometimes like units for their looks as well. That’s fine by me!